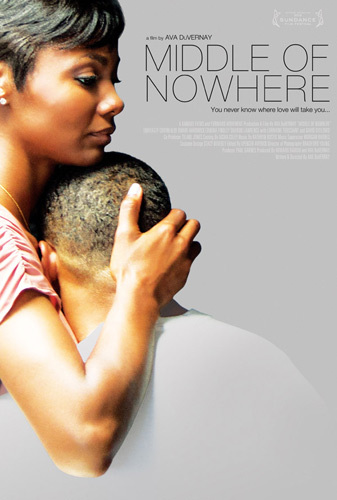 *”Middle of Nowhere” is a cinematic masterpiece reminiscent of those rare treasures that have managed to capture an authentic slice of African-American life, ala such black classics as Love Jones (1997), The Best Man (1999), The Visit (2000) and Brown Sugar (2002). However, this introspective tale of female empowerment simultaneously touches on a number of universal themes apt to resonate with an audience of any demographic. I got a chance to check this out over the weekend… Honestly, there isn’t really anything new about the storyline – in fact it’s all too common, BUT what makes this movie great and worthy of it’s accolades is that it’s beautifully told and WELL acted. If you go see it you can expect to leave “feeling some kinda way” afterwards. I highly recommend! I plan to catch it some time this week. Read it was made on a budget of only $200K.